Steel Fitness Premier in Allentown features 3 swimming pools for your aqua enjoyment! It’s no wonder people love gyms with pools; swimming is a great, low-impact exercise routine that tones muscles, builds strength and increases aerobic capacity. Every age and fitness level can benefit from aquatic exercise, and seniors or those with chronic pain will appreciate working out in the soothing warmth our pools offer. Finding a gym with a pool gives you the option of exercising at your own pace. The temperature-controlled, 4-lane lap pool ranges in depth and features a step entry. Kick boards and pull-buoys are available. With both ramp and step entry, our activity pool features 3 separate lanes for warm water short lap swimming or walking. Aquatic exercise classes and small group/private swim lessons are available at our Allentown fitness center. The heated therapy pool offers both step and automatic lift entry, and scheduled activities include physical therapy. There is little stress on the joints, and exercise in a warm pool increases mobility and soothes muscles. Interested in learning about the amenities and services we offer at our health club in Allentown? Visit us today for a free, 3-day membership — or call (484) 268-1430 for more information about aquatic exercise class options. 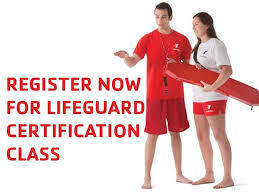 To register for our upcoming Spring Lifeguarding classes, contact Mike at mseip@sfpremierhw.com for details.